About a half hour north of Ubud is the I Love BAS Bali Coffee Plantation. 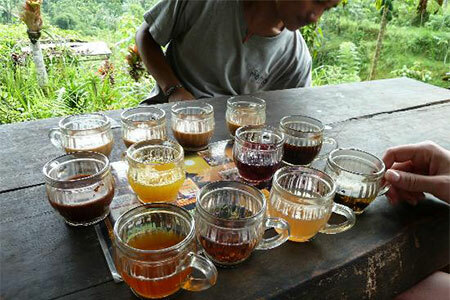 Here you can sit overlooking the lovely plantation and taste a variety of locally produced teas and coffee. A tray of tea and coffee samples are complementary. Also available for a small fee is the world’s most expensive coffee, Kopi Luwak, made from beans excreted from an Asian Palm Civet. It is extremely good and yes, is worth every penny. Especially when enjoying it with such beautiful scenery. Guests will have the opportunity to shop and purchase the teas and coffee offered at the plantation, along with many other gift items.